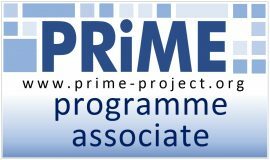 The Programme Associates Scheme is designed for companies who operate in fields with a clear synergy to the research areas being pursued by PRiME. Contact PRiME Impact and Collaboration Manager, Gerry Scott on gerry.scott@soton.ac.uk for more details. UltraSoC is transforming the way companies develop and deliver next-generation electronic devices and systems. Our products allow engineers to look inside systems-on-chip (SoCs) during the development process, and understand exactly how they operate under real-life conditions. Development teams are also using our on-chip monitoring and analytics IP to equip their SoCs with an exciting range of new capabilities, applicable in markets from network infrastructure to mobile phones, and from safety-critical systems to the Internet of Things (IoT). Moortec Semiconductor is a UK based SME that provides analogue and mixed-signal IP designs to the semiconductor industry. Their high-performance analog and mixed-signal IP designs are delivered to ASIC and System on Chip (SoC) technologies within the consumer, automotive, medical and telecommunications sectors. Their products include embedded Process, Voltage and Temperature (PVT) monitoring IP for advanced node System on Chip (SoC) designs.